I'll be discussing the best YA, supernaturally-inclined books out there. April: A Month of YA Giants – The Gathering out today! 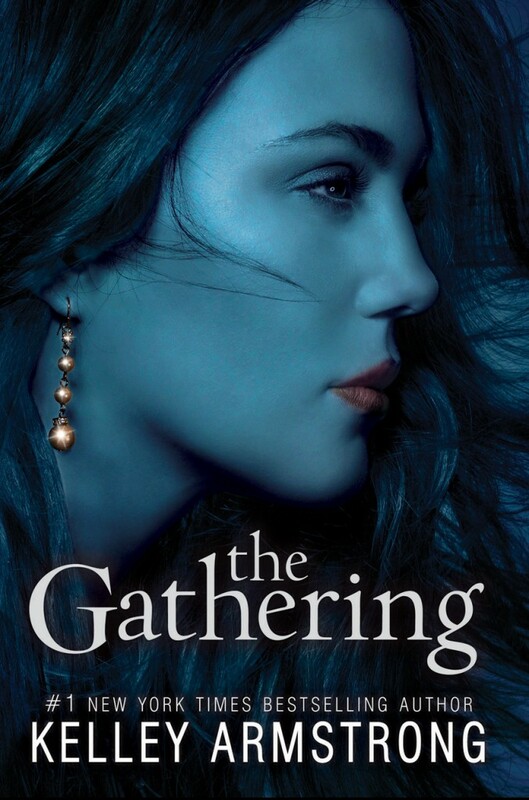 The Gathering hits bookshelves today, April 12. What do you think of the cover? How does it compare to the Darkest Powers covers? It’s not every day two hang-on-to-your-YA-hat books are released exactly one week apart. I’m talking Cassandra Clare‘s City of Fallen Angels (released April 5), of course, AND The Gathering (out today April 12), the first book in well-loved supernatural author Kelley Armstrong‘s newest YA series, Darkness Rising. Armstrong, the author of the adult The Otherworld Series, successfully moved to the YA genre with the fabulous trilogy Darkest Powers, made up of The Summoning, The Awakening and The Reckoning. In that series we met Chloe Saunders, a teen who can see, speak to and control ghosts. Chloe, along with her supernatural friends (a witch, warlock and werewolf), eventually find out they’ve been genetically mutated to have more of the positive aspects of their power, and less of the negative aspects. This means they are extremely powerful, and dangerous, at a young age. Chloe hopes to bring down the group responsible for the genetic mutation and learn to effectively control her powers. Strange things are happening in Maya’s tiny Vancouver Island town. First, her friend Serena, the captain of the swim team, drowns mysteriously in the middle of a calm lake. Then, one year later, mountain lions are spotted rather frequently around Maya’s home—and her reactions to them are somewhat . . . unexpected. Her best friend, Daniel, has also been experiencing unexplainable premonitions about certain people and situations. It doesn’t help that the new bad boy in town, Rafe, has a dangerous secret, and he’s interested in one special part of Maya’s anatomy—her paw-print birthmark. Get your own handmade Derek Souza hat! 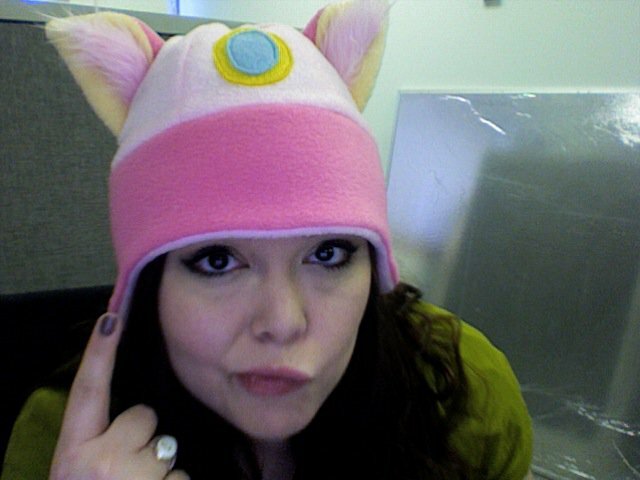 Something my dear readers may not know about me: I have a lot of cat hats. A LOT. Said hats are made of fleece, have cat ears, and are inspired by certain things. For instance: Damon Salvatore, Princess Peach and…err…cupcakes. They are adorable and VERY warm when it’s cold outside. Anyway. My very talented sister (who made the above hats) has recently caught the Kelley Armstrong and Darkest Powers bug. 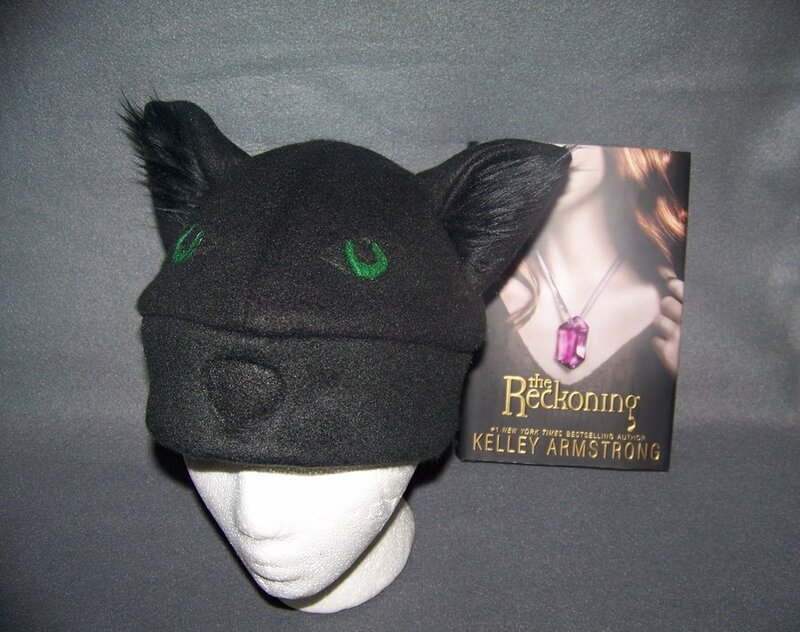 Miranda has created a black wolf-ears hat inspired by Derek Souza, a teen hottie who turns into a black werewolf. His vivid green eyes remain while in wolf form (and are depicted on the hat). You can check out Miranda’s Derek Souza hat along with her other creations at http://randy-giles.deviantart.com/. 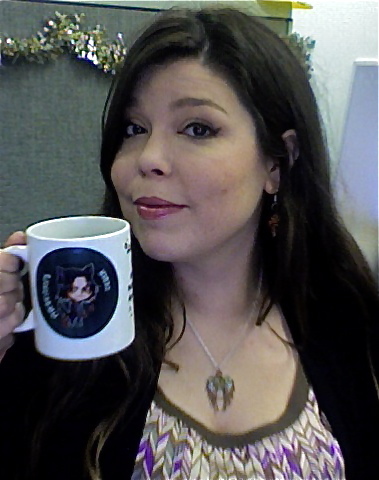 It was a Ya-fruitful holiday for me this year - check out my Clockwork Angel necklace and Darkest Powers Derek mug featuring a cartoon version of Derek and text "My bark is worse than my bite." I was blessed with lots of YA-related presents this year, my friends. 1. 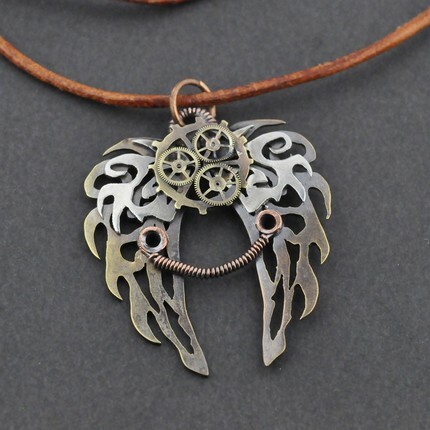 Clockwork Angel-inspired necklace by Hebelmet courtesy of my sister Miranda. Check out more about Clockwork Angel on author Cassandra Clare’s website. 2. Damon Salvatore necklace made by blugrn design and designed by my sister Miranda, inspired by The Vampire Diaries books by L.J. Smith. 4. Darkest Powers mug featuring Derek Souza and the tagline, “My bark is worse than my bite.” Learn more about Mr. Souza at author Kelley Armstrong’s website. 5. Copy of Nightshade by Andrea Cremer (a book about werewolves) that I have already devoured (excuse the pun). 6. Notebook featuring the faces of Damon and Stefan Salvatore. Here’s to a new year of books full of all sorts of supernatural ladies and guys and the people who love them. Close-up of my fantastic Clockwork Angel neckace - I love it! 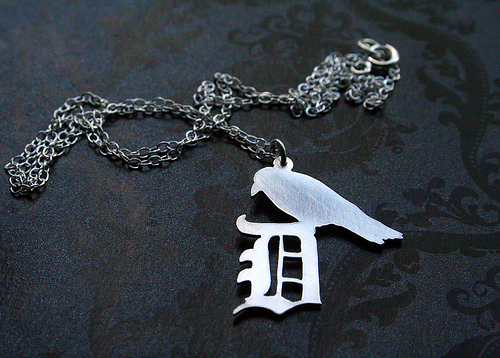 Damon Salvatore necklace with a gothic "D" and a crow symbolizing the animal he can turn into in L.J. Smith's books. Darkness is rising: Win an ARC of The Gathering! Win an ARC of Kelley Armstrong's The Gathering, the first book in the followup series to the fantastic Darkest Powers! THIS CONTEST IS CLOSED. THANKS EVERYONE! Take a deep breath, dear reader. Did you do it? Yes? Good. Thanks to my semi-charmed life and the kindness of Kelley Armstrong, you can win an ARC (Advanced Reader Copy) of The Gathering MONTHS before its release April 11, 2011. I’m getting a little worked up myself. The Gathering is the first novel in Armstrong’s new trilogy, Darkness Rising, set in the same universe as the sometimes chilling, yet fascinating, Darkest Powers series. • Follow @ReganCoomer on twitter. A second-place winner will receive a SIGNED bookmark from Melissa Marr, author of the Wicked Lovely series, and a postcard signed by Jennifer Lynn Barnes, author of “Raised by Wolves.” Winners will be chosen randomly. Contest is INTERNATIONAL. Ends Oct. 15. Maya lives in a small medical-research town on Vancouver Island. How small? You can’t find it on the map. It has less than two-hundred people, and her school has only sixty-eight students—for every grade from kindergarten to twelve. Now, strange things are happening in this claustrophobic town, and Maya’s determined to get to the bottom of them. First, the captain of the swim team drowns mysteriously in the middle of a calm lake. A year later, mountain lions start appearing around Maya’s home, and they won’t go away. Her best friend, Daniel, starts experiencing “bad vibes” about certain people and things. It doesn’t help that the new bad boy in town, Rafe, has a dangerous secret—and he’s interested in one special part of Maya’s anatomy: Her paw-print birthmark. 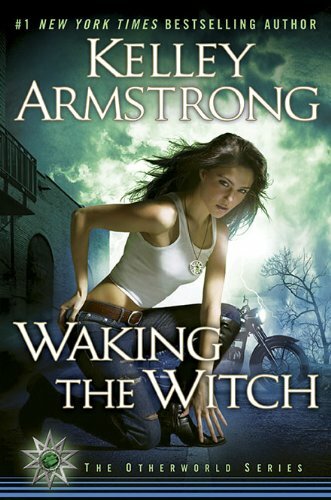 Kelley Armstrong’s Waking the Witch Giveaway! Win a SIGNED copy of Kelley Armstrong's newest book in The Otherworld Series, Waking the Witch!! YA/Fantasy Author Kelley Armstrong graced Cincinnati with her Otherworldly presence Aug. 6 – stopping by our local Joseph Beth Booksellers to discuss her newest installment in The Otherworld Series, Waking the Witch. After reading the prologue of WTW, Kelley was gracious enough to sign a copy of her book just for YOU!! That’s right. I’m giving away an autographed copy of WTW! To enter, you must comment on this post, but EXTRA POINTS are awarded if you follow me on twitter and subscribe to this blog. A winner will be randomly selected and announced Aug. 16!! Make sure to include your email address when you comment. This is Book 11 and the first book for Savannah. We first met her in Book 2 when she was 12 years old, which in my world, means it’s been 9 years. Now she’s 21 and old enough to get into trouble on her own. 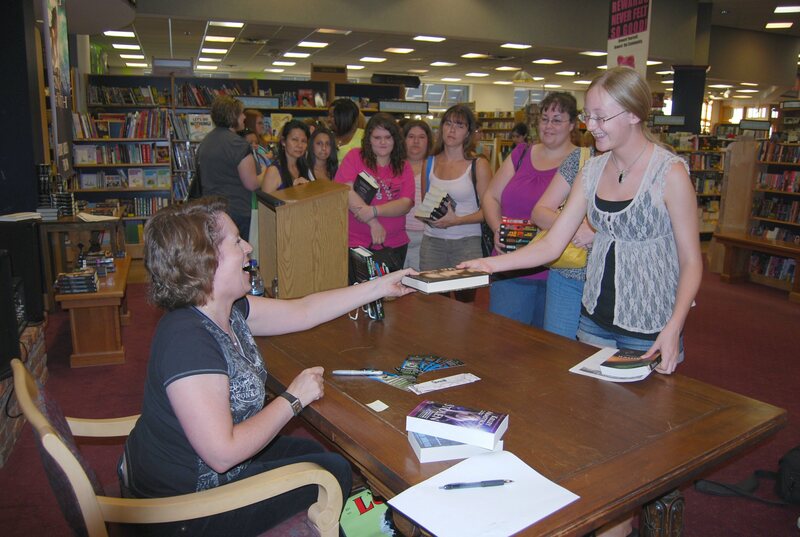 Kelley Armstrong signing Waking the Witch in Cincinnati Aug. 6. Kelley shared the TRUE story behind the necklaces featured on her Darkest Powers covers – her YA publishers liked the pentacle medallion used for The Otherworld and wanted their own necklace for the cover, which she then had to specially write into the story. Egads. The necklace’s appearance changes from cover to cover as well, which Kelley also had to account for. I also got a chance to ask what was the oddest question she’s ever gotten at a reading. Her answer? Readers asking her about books she didn’t write! How is that even possible? Apparently, it’s happened more than once. Other interesting details revealed by Kelley? When the Otherworld series was originally picked up, it was called “Women of the Otherworld.” Kelley said she didn’t realize it at the time, but that restricted her to writing only from female POVs. That could change with the new name, The Otherworld Series. And while Chloe and Co. from the first three books of the Darkest Powers series will not be the main characters in the fourth installment (The Gathering), Kelley said the new group of supes-in-an-experiment may still meet up with Chloe and the gang! Don’t forget! For your chance to win a signed copy of WTW, comment this post, follow me on twitter and subscribe to my blog by Aug. 16. And be looking for a VERY EXCITING contest involving another of Kelley Armstrong’s books in the next couple of weeks! Obsession. Seduction. Temptation. Check out the new Vampire Diaries promo! Eye Candy Wednesday: Haaaave you met Alek?